In a recent online chat, John R. Ashford emphasized the importance of good oral hygiene to the overall health of dysphagia patients and infection control. Participant: If a participant were to remember or put into practice only one idea from your session, what would that one key takeaway be? John R. Ashford: Every patient must receive oral hygiene. Not just for social or hygiene reasons, but as a preventative for complicating illnesses. Participant: What is your recommendation on alternating solids with water (or other liquid consistency) as a means of helping oral hygiene? Ashford: Of course, rinsing after eating helps to carry away larger food particles and helps with superficial cleaning. It is useful but is not usually a part of an oral hygiene protocol. It is a good practice, but as we all know, it cannot replace brushing. Participant: If someone has xerostomia (dry mouth), should we consider him or her to be immune-deficient to some extent? Ashford: With hyposalivation there is a reduction in many properties found in saliva, including reduced immune factors. This is why it is important that some form of moisture be given to keep the mouth “turning over,” whether it is artificial saliva, water or other liquids. The immune properties cannot be added with these outside moisturizers, but they reduce the prospect of bacteria attaching to the oral surfaces. This is where some mouthwashes such as Chlorhexidine are beneficial. Participant: Is there a way to administer Chlorhexidine that would avoid side effects such as browning of the oral cavity or black hairy tongue? Ashford: Chlorhexidine gets mixed reviews but it has been reported for years in the clinical literature as perhaps the most effective of all oral washes. It is not 100 percent, but is better than most all others. It does have the problem of brown staining the teeth with some people, but this usually is a small price to pay considering its effectiveness. Chlorhexidine does not cause black hairy tongue but it helps prevent it. Black hairy tongue is caused by reduced saliva flow. Participant: Is removal of natural teeth indicated at some point to avoid increased risk of developing certain serious diseases (e.g., diabetes, stroke, Alzheimer’s)? Ashford: The risk of developing serious diseases from poor conditions is due to periodontal disease, or disease of the gums and tooth sockets. Periodontal disease usually starts with very poor care of the teeth, and gums and gingivitis sets in around the edges of the teeth and gums. Eventually, this penetrates into the socket and invades the tooth and the bony alveolar ridge, and erodes the epithelium covering. It is at this point that pathogens enter the blood stream and pass into the other parts of the body. So, bad natural teeth are the culprit. Many people have their teeth extracted, and this helps reduce the source of inflammation and infection found in bad natural teeth. Participant: What would your advice be for those planning to start an oral infection control program? Ashford: An oral hygiene program has to start with nursing. Nursing carries the bulk of the work and the director of nursing is where you start. You then have to develop a continuous staff education program. Once the director is onboard and you can start the education, remember it has to be ongoing. Staff changes, particularly with CNAs (certified nursing assistants) or NAs (nursing assistants), are constant, and keeping everyone on board is difficult. You need to have someone as director of oral hygiene. This person is the go-to person and keeps the importance of the program in the forefront. Just seeing that patient have toothbrushes is a job in and of itself. Make sure you have your administrator’s blessings. Then the process of changing opinions has to start. Oral hygiene is often thought of as a “care” like bathing or hairbrushing. It is not. It is an infection control procedure for your sick patients. Participant: How often are you supposed to replace multiuse (Plak-Vac) suction toothbrushes? Ashford: I have been in hospitals where it took two or three hours for a patient, after requesting, to get a toothbrush. This should be immediate and routine with every admission. 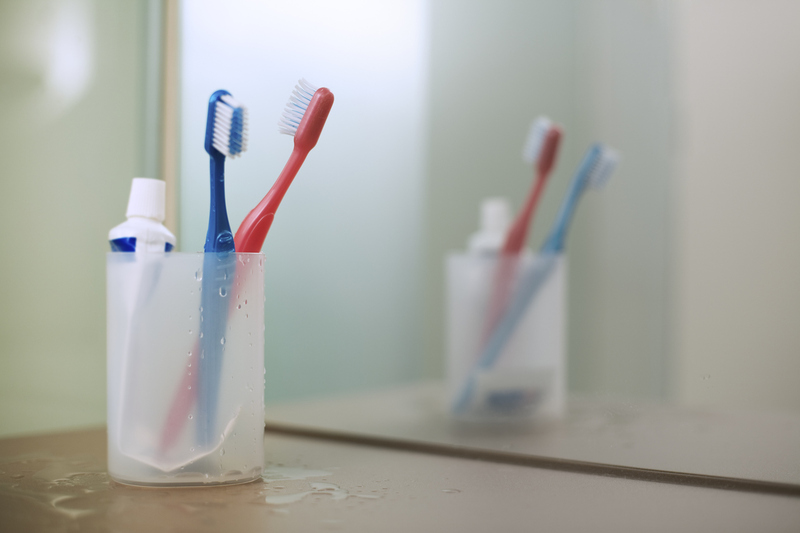 As for replacing multi-use toothbrushes—like most toothbrushes, look at the bristles. Has debris collected at the base? This can happen after a few brushings. Make sure the brushes are washed well after using to clean off that debris. This is probably the most important aspect of getting the use out of those brushes. Just make sure they are kept clean. Participant: What do you recommend for oral care with patients who are NPO with high aspiration risk? Ashford: Oral hygiene care for these patients is just as important as if they were orally fed. Lean them forward over a basin and let the oral secretions spill into the basin. Rinse the mouth with a little water or mouthwash and spit it out. It is not going to “hurt” the patient if they swallow small amounts of liquid. Oral procedures should last about five minutes. With some patients, this may be longer. Brushing for two minutes is the recommended brush time stated by the American Dental Association. With vent patients, and more involved patients, up to 10 minutes may be necessary. Participant: How do you word medical necessity or appropriate documentation to support services when you perform oral care as part of your comprehensive dysphagia treatment plan? Ashford: I have a standard sentence I put in my reports. “Oral hygiene care is recommended three times daily to reduce oral pathogens and to prevent potential development of nosocomial pneumonia.” This links the mouth conditions to possible lung infection and potential death. Participant: Recently I have had several patients complaining of having very thick mucus, which they perceive as interfering in their ability to swallow. These patients are not post XRT (radiotherapy). Do you have any thoughts or suggestions? Ashford: There are many reasons for the sensation of feeling thick mucus in the throat. Just a few: Allergies and some foods (particularly dairy products) produce thickened mucus, and some patients have GERD. I would think that asking a few more questions of the patient would help to pinpoint why they have this sensation. Thank you Dr Ashford for continuing our collective push for oral decontamination and oral infection control to be part of our recommendations to prevent aspiration pneumonia! 1. Removal of natural teeth: even if the patients remove all their teeth, there are still many surfaces in the mouth that are neglected and can build up a biofilm to harbor pathogenic bacteria, yeast, and more. Denture surfaces can get very nasty, especially when not removed and cleaned at night. 2. Thick mucous: people with dry mouth have a chemistry change in the quality of the saliva, and not just in the quantity. See Dr Rogus-Pulia’s research on this too. She notes that when the chemistry is changed and less mucin is present, the saliva gets thicker and stickier. People may feel like they have too much “phlegm,” but it is just that it is too thick/sticky and not easy to swallow like the slippery mucin-rich saliva. 3. I had a dentist contact me after my article on the Power of the Toothbrush, and he recommended items containing “Xylitol,” which is caries inhibiting. He also mentioned Xylimelts for dry mouth. (nothing to financially disclose here). Stannos Flouride has antibacterial properties, per this dentist, and can help attack pathogenic bacteria in the dense biofilm. He also noted that Flossing is really the way to get to the anaerobic bacteria along and under the gum line. Can you imaging trying to get our patients flosses, when just getting their teeth brushed is hard enough? 4. In my reports/recs, I also put what Dr Ashford noted. We have to stress that it is oral decontamination for pneumonia prevention in someone with known aspiration risk. I put how the swabs alone are not sufficient, and the patient’s teeth and oral cavity must be brushed. All our bedside notes should comment on our observations of plaques, debris, biofilm, dryness, and other comments on ability to manage secretions. Sometimes we are the only people to REALLY look in the mouth! As needed, I recommend Chlorhexidine to be ordered 3-4 times a day and administered after teeth brushing to “force” staff to perform brushing. When the doctor has teeth brushing in the doctors orders, connected with the administration of a medication, then staff may take notice better. 5. Doing a CQI project at your facility regarding conditions of patient’s oral cavity and the presence of oral hygiene products in room and opened. Look at hospital acquired infections also. Work with your patient safety committee to talk about ways to reduce hospital acquired infections (HAI). Thanks again! Keep the conversation going. Great discussion! Many things are cleared after reading this discussion. There are a lot of people that complaint abut the sensation in their teeth, bad breath and some kind of oral infection. This will help them a lot to understand what is going on with them and what kind of treatments and habits should be adopted. Thank you very much! School Speech-Language Pathologist in Phoenix & Tucson Metro | STARS, Student Therapy, Inc.